The 2019 Subaru Outback isn’t without its strengths, but next to the 2018 Honda CR-V, it lacks in performance and interior cargo space. It’s more expensive, too. Compare the Honda CR-V vs. Subaru Outback below, and learn more about why the highly reviewed Honda CR-V remains a must-drive for Union families. 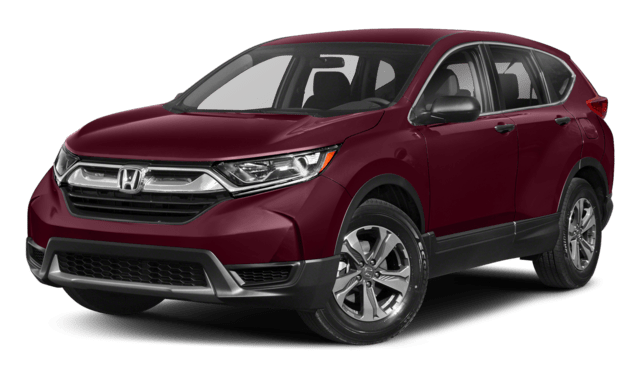 The 2018 Honda CR-V has a starting MSRP of $24,250. 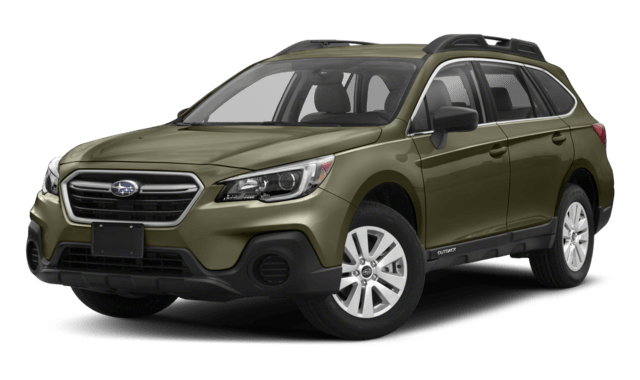 * On the other hand, the 2019 Subaru Outback starts at $26,345 MSRP. That’s a price difference of over $2,000. However, as you’ll see below, a higher price doesn’t always equal higher performance or value. Engine: The Honda CR-V is powered by a 184-hp 2.4L 4-cylinder engine. The Subaru Outback gets a weaker 175-hp 2.5L 4-cylinder. Transmission & Drivetrain: Both SUVs include a Continuously Variable Transmission (CVT). All-wheel drive is standard for the Outback and optional for the CR-V.
MPG Ratings: Fuel economy ratings are comparable, but the CR-V gets one mile per gallon more in the city. With its base engine and CVT, the CR-V LX earns 26 mpg city/32 mpg highway** vs. 25 mpg city/32 mpg highway from the Outback 2.5i. The 2019 Subaru Outback and 2018 Honda CR-V interior include 60/40-split-folding rear seats. The Honda CR-V is a bit more spacious, though. Behind the rear seats, you’ll find 39.2 cubic feet of cargo volume. The Subaru Outback offers 35.5 cubic feet behind its rear seats. Folding the rear seats down expands the CR-V cargo area to a maximum of 75.8 cubic feet. The Outback delivers just 73.3 cubic feet maximum. Test Drive a New CR-V at VIP Honda in North Plainfield! Comparing the Honda CR-V vs. Subaru Outback reveals the Honda CR-V to be the more cost-effective, powerful, and spacious SUV. To experience the new CR-V for yourself, schedule a test drive at VIP Honda near South Plainfield and Kenilworth. Take a moment to browse our current offers and Honda CR-V lease deals for specials on a new Honda SUV! *26 city/32 highway/28 combined mpg rating for 2WD LX with CVT model. 25 city/31 highway/27 combined mpg rating for AWD LX with CVT model. 28 city/34 highway/30 combined mpg rating for 2WD EX, EX-L and Touring with CVT models. 27 city/33 highway/29 combined mpg rating for AWD EX, EX-L and Touring with CVT models. Based on 2018 EPA mileage ratings. Use for comparison purposes only. Your mileage will vary depending on how you drive and maintain your vehicle, driving conditions and other factors.